Allison looked over the Middle Eastern woman at her door from her flats to her smile. 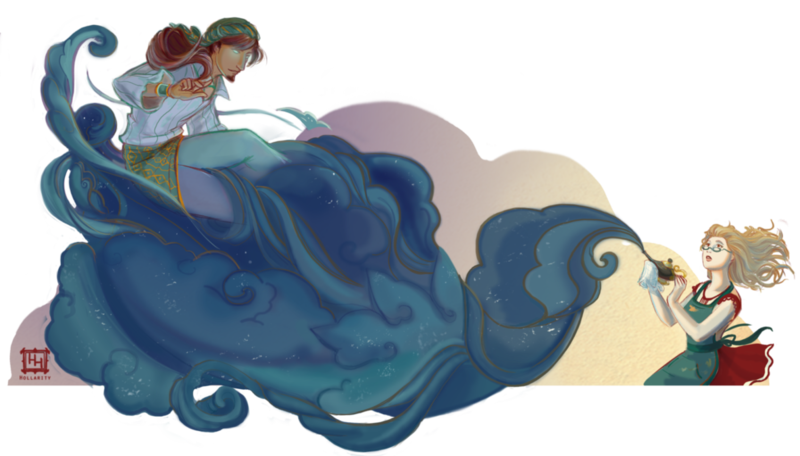 She was no longer blue, but she was definitely the Jinn. Djinn Unchained, by Holly Hansel. Click here for more of the artist’s work!